The cafe at The Point is a ideal place to meet with friends and colleagues and offers a great choice of food and drinks. If you feel like spoiling yourself, try one of our yummy cakes. 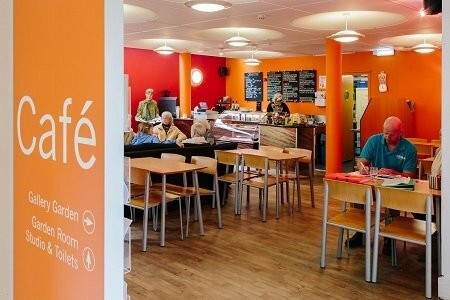 If you are part of a group that is looking for somewhere to meet, our cafe could be just the place. Alternatively we also have rooms for hire. The cafe closes one hour before the building closes. 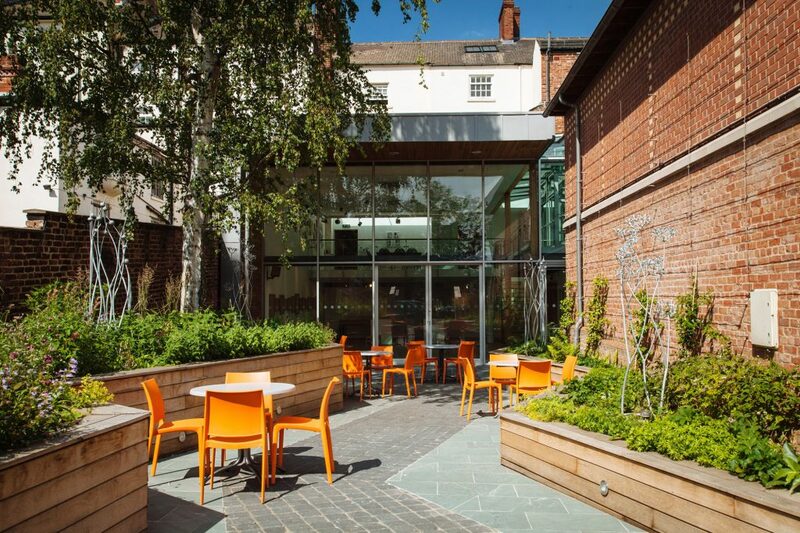 On sunny days, eat, drink and relax in our beautiful gallery garden created by award winning garden designer Jamie Dunstan.